Generations after Charles Spurgeon's death, Christians are still finding his rich biblical understanding in Evening by Evening to be a great way to end their day. 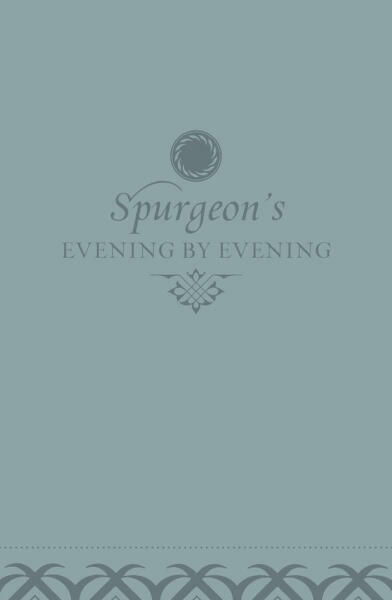 In this stand-alone edition of Spurgeon's classic devotional, pastor-author Alistair Begg has carefully updated Spurgeon's language while faithfully preserving the original message. These 365 evening readings are newly available in a high-quality binding and an easier-to-carry size and feature the English Standard Version for the Scripture text. Also sold as a set with Morning by Morning .